How ‘craft’ is a brewery that’s worth a billion dollars? News dropped earlier this week that a multinational beverage company plans to buy Ballast Point Brewing. Constellation Brands, maker of Corona and Modelo, will pay $1 billion for the San Diego-based brewery. Yep. ONE BILLION DOLLARS (or for those of you into story problems, that’s approximately 125 million bottles of Sculpin). Ballast Point joins several other California breweries that have gone from craft to macro this year. Golden Road was bought by Anheuser-Busch in September, Lagunitas sold out to Heineken earlier that month, and MillerCoors snapped up Saint Archer that same week. It’s been a total fire sale. First: A giant beverage corporation cannot own more than 25% of a craft brewery. Second: A craft brewery may not produce more than 6 million barrels of beer a year. Third: a craft brewery makes beer that gets most of its flavor from traditional ingredients, barley and hops (In a controversial move, corn and rice were recently added to the list as well). Somewhat more amorphous, the Brewers Association says that a craft brewery is a SMALL brewery. So, uh, what part of $1 billion sounds small to you? 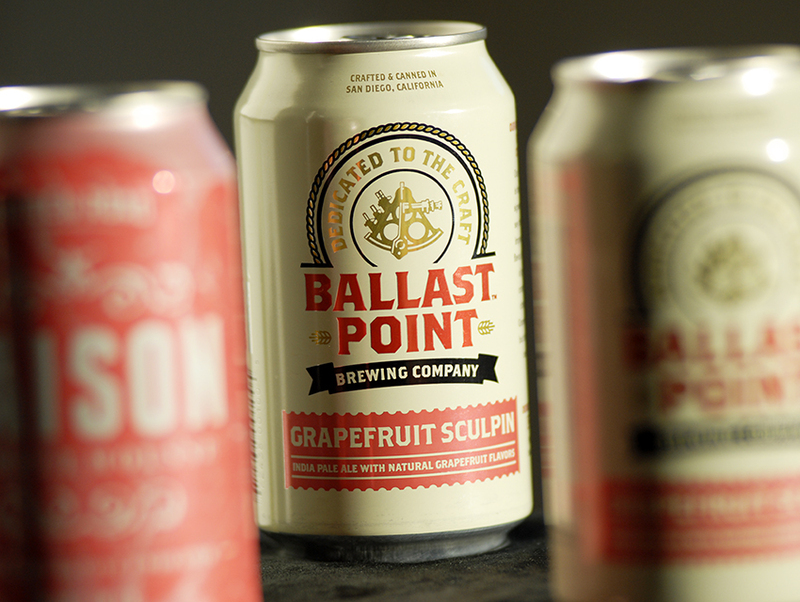 Think about it: Ballast point lives in the same craft category as breweries like Highland Park Brewery, which operates out of The Hermosillo’s store room, and San Fernando Brewing, which brews 15 barrels of beer at a time. Ballast Point, by comparison, expects to sell 4,000,000 cases of beer by the end of this year. That comes out to about 350,000 barrels a year. Now 350,000 barrels is well under that craft threshold of 6 million. But up until 2010, the maximum was 2 million barrels a year. The Brewers Association tripled the allowed output after a concerted lobbying effort by the company that owns Sam Adams. The Boston Beer Company was about to outgrow the 2-million-barrel limit, but instead of accepting its large brewery designation, the company got the Brewers Association to change the rules. CEO Jim Koch takes the craft distinction very seriously. For those of you too lazy to click the link, Koch threw a total hissy fit in 2014 at one of Boston’s best beer bars because it didn’t carry any Sam Adams. Cool story bro. And this is one of the reasons why the craft distinction matters to a brewery: Many fine beer bars refuse to sell a beer if it does not fit the definition of a ‘craft’ beer. But if the craft distinction is increasingly arbitrary (or at the very least over-broad), then what’s a consumer to think? Well THIS consumer thinks it’s time to reconfigure. Interestingly, Congress is currently attempting to redefine what constitutes a small craft brewer. A bill proposed by Oregon Senator Ron Wyden presents much more reasonable measures and leaves a lot of room for gradation between craft segments. Meaning a brewery that produces less than 60,000 barrels a year gets taxed at a much lower rate than a brewery that producers 2 million barrels a year. Both are still considered craft, but the vast disparity between size and profit is acknowledged. While one assumes a love of good beer transcends political party, Congress has not yet voted on the proposed legislation. Until it does take up a vote, we’re stuck with ‘craft’ in all its capacious glory. And as the brewery buying frenzy shows no sign of abating, this conversation is far from over.